Welcome to the South Africa Energy Efficiency and Renewable Energy Exchange (EERE Exchange), a regularly-updated platform for sharing information on initiatives related to the growth of markets for efficient, clean, and sustainable technologies in South Africa. 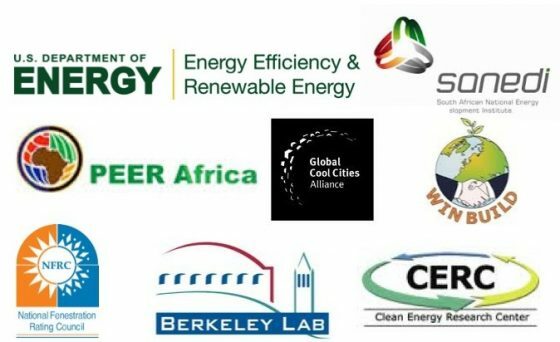 Regulations Supporting National Energy Efficiency Goals – A review of South Africa’s energy efficiency goals by sector and the regulation developed to achieve them. Energy Efficiency in the Housing Sector – An overview of Eskom’s programs to improve residential energy efficiency. Energy Efficiency Projects in the Housing Sector – An overview of new energy efficient housing developments and a description of how they were financed. Global Superior Energy Performance Partnership: A South African Perspective – A SANEDI presentation of the current energy and housing dynamics in South Africa. BigEE – A guide from SANEDI to building, appliance and other policies aimed at increasing energy efficiency in South Africa. Section 12L of the Income Tax Act – A description of the tax incentive, its purpose, and means to apply by SANEDI. The Carbon Tax and Energy Efficiency Incentive – A review of Section 12L and one of its funding sources, a new tax on carbon for certain industries. SANS 50100: Measurement and Verification Requirements for Section 12L – A detailed description of M&V requirements to earn the Section 12L incentive. Section 12L: Accreditation Process – A description of how organizations can become accredited to perform the M&V requirements to claim Section 12L. Practical Guide to Applying for the Section 12L Incentive – A detailed, step-by-step guide for applying for and complying with the Section 12L energy efficiency incentive. !Khies Municipal Supply Chain Management Policy – An example of the procurement requirements for suppliers interested in working with municipalities. Municipal Procurement Requirements for South African Municipalities – The official supply chain management requirements governing municipal procurement. Local Content Requirements – The process for verifying that projects receiving government incentives or funding meet the requirements for including local content. Designing and Operating a Cool Roof Rating System – An overview of the U.S. Cool Roof Rating Council and the elements of its successful testing and rating program. Cool Roofing Pilot on Low Income Houses – A report on a demonstration of cool roofs and local job creation near Pretoria. Cool Roofs and Solar Hot Water Heaters – A presentation reviewing the potential benefits of applying cool roofs with solar hot water heaters. South African Fenestration and Insulation Rating Authority – An overview of the South African process of testing, rating, and labeling window and glass performance. SAPOA Property Vacancy Report – An April 2014 review of the commercial building sector in South Africa, including trends and an economic outlook published by the Property Owners Association. Africa Property and Construction Handbook 2013 – A report on the health of the leasing and construction market in Africa, published by AECOM South Africa. White Paper on Renewable Energy – The 2003 government position paper that set targets for renewable energy development. South Africa’s Renewable Energy Policy Roadmap – A June 2010 report by University of Cape Town for UNEP covering current policy and opportunities for future renewable energy development. Renewable Energy Policies in South Africa – An overview presentation to the June 2010 World Futures Council Workshop by the Honorable Elizabeth Thabethe of the South African Parliament. General Policy Overview – The REEGLE policy database for South Africa. Scaling Up Renewable Energy in South Africa – A web-based report from Norton Rose Fulbright that reviews the current state of policy, renewable CDMs, and the procurement process. Integrated Resource Plan 2010-2030 – The IRP from the South Africa Department of Energy covering all power needs and development plans for South Africa. Integrated Energy Planning Report – A June 2013 report detailing the plans for South African energy deployment. Standard Offer Scheme – The standard policy and steps for offering renewable, efficiency, and DSM resources into South African energy market via Eskom. A U.S. Department of Energy initiative to grow the market for U.S. energy efficiency and renewable energy products, technologies, and services in South Africa.